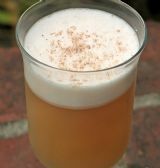 Cafe Au Kirsch drink recipe made with Cherry Liqueur,Coffee,Eggs,Sugar,. How to make a Cafe Au Kirsch with all the instructions and ingredients. Cerulean Dinosaur Diarrhea View This Recipe! Gary&apos;s Laugh View This Recipe! Santa Claus Is Coming View This Recipe! Saucy Sue View This Recipe! Saucy Wong View This Recipe! Saudi Arabian View This Recipe! Sauga&apos;s Finest View This Recipe! Saurian Brandy View This Recipe!